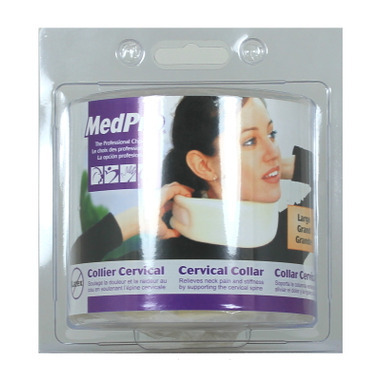 These foam cervical collars provides firm, yet soft, support. Featuring contoured high density foam-fill and a durable, superior quality, soft stockinette cover with double-stitched hook and loop fastener closures. Size Large: 18" x 3 1/2"
Sizing wrong. Definitely was not 3.5 inches. Fits more for a child's neck.